Bhubaneswar : Tata Global Beverages Ltd. (TGBL) has signed an LOI with Tata Steel Special Economic Zone Ltd. (TSSEZL) for setting up a tea packaging unit with 36 million kgs capacity in Gopalpur Industrial Park. 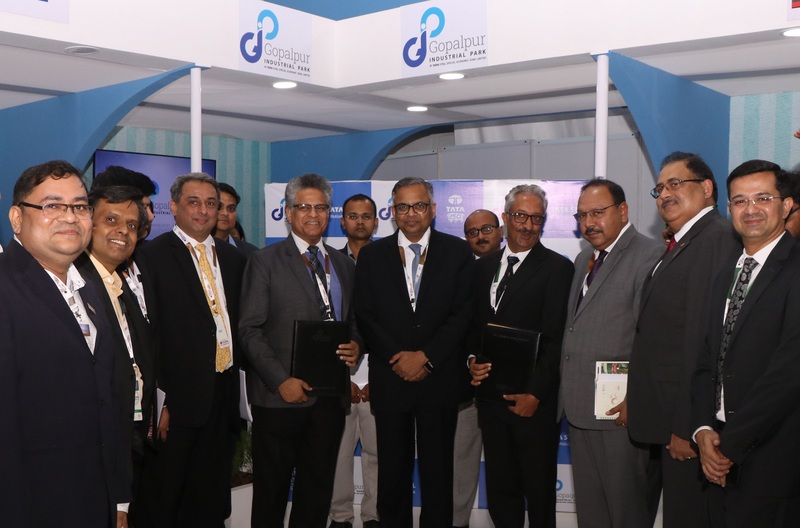 The LOI exchange took place between Mr. S S Malhotra, Vice President, Operations (South Asia), Tata Global Beverages Limited (TGBL) and Mr. Ashish Mathur, Managing Director, Tata Steel Special Economic Zone Ltd. on November 12at Bhubaneswar during the Make in Odisha Conclave 2018. Present on the occasion were Mr. N Chandrasekaran, Tata Group Chairman, Mr. T V Narendran, CEO & Managing Director, Tata Steel and other senior officials of the company. The tea packaging plant will cater to TGBL’s Indian market and is scheduled to be operational by 2020. It will be operated by a third-party operator, nominated by TGBL. On full capacity, the plant will generate anemployment for approximately 650 persons. The total investments envisaged for the plant is nearlyRs 100 Crores. Gopalpur Industrial Park is located on National Highway 16 near Berhampur, and is just 2-hour drive from Bhubaneswar. With plug and play infrastructure, multi-modal logistics connectivity, ready environmental clearance and clear land title, Gopalpur Industrial park is emerging as the preferred investment destination of India. At present, a 55,000 TPA Ferro Chrome plantby Tata Steel, a defense manufacturing unit by Sure Safety Solutions Pvt. Ltd. and a metal based manufacturing unit by BS Minerals Pvt. Ltd are operating in the Industrial Park. TSSEZL has been engaging with other potential investors across the country and abroad and expects to firm up agreements with some of the companies shortly.